Minimum 2 persons for this tour. We can't guarantee visitors will see dolphins. However, your chances to spot them are around 95%. 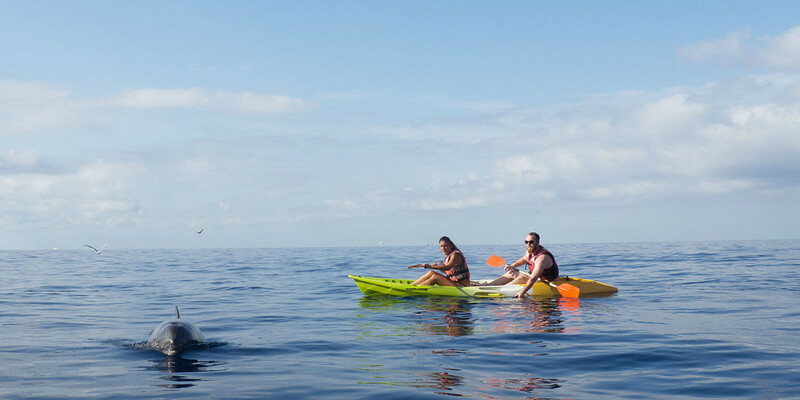 The trip is organized in single and double kayaks. The activity always takes place in the morning. This is the best time to see dolphins. If your accommodation is in the south of Tenerife, we pick you up, take you to the tour, and take you back home. Important note: Please be ready 1 hour before the lesson starts. Although the session lasts 2 hours, the entire activity can take up to 4 hours, including pickup and drop-off from/to your accommodation. 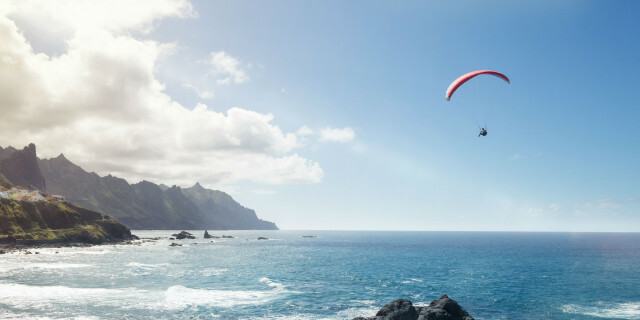 Looking for a trip that feels like a wild and exotic adventure, but that doesn’t take up your entire day? 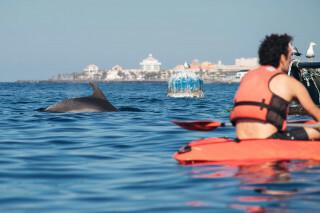 This two-hour kayaking with dolphins combines all of these ingredients at the beautiful Playa de Los Cristianos, in the south of Tenerife. The day starts at about 9:00 a.m., when your guide picks you up from your accommodation and takes you to the tour’s starting point. Bring the clothes you would usually wear to the beach, a towel, and flipflops, of course. Don’t forget a bottle of water to hydrate during the day. The trip begins at about 10:00 a.m. Before getting into the sea, your guide gives some instructions on how to paddle up and down. You can even choose a double kayak if you’d like. As you push your canoe through Playa de Los Cristianos, you feel the soft and golden sands kindly rubbing the soles of your feet. A couple of steps ahead is the impressive and calm turquoise water of the Atlantic, offering ideal conditions for your ride. For the next 20-30 minutes, your guide leads the way to a strategic point in the ocean. You are 200 meters away from the shore and close to many fish farms. Usually, dolphins come to feed in this area, which increases your chances of seeing them. 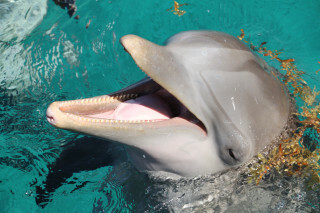 You probably know that dolphins are adorable and intelligent creatures that tend to be outgoing, friendly, and approachable. They may even attempt to greet and meet you. However, they are wild animals, and a good dose of precaution is always the best approach. 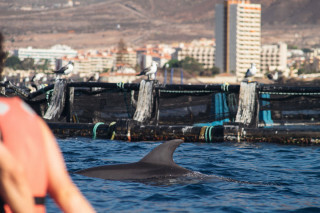 After spotting dolphins, your guide takes you to see some hidden gems of the Tenerife coast. On the way, you can take some time to admire caves and the magnificent landscape composed of mountains falling straight down into the ocean. Sometimes, green turtles can also be seen swimming around visitors. When the clock is about to hit midday, you know the trip is going to finish soon. 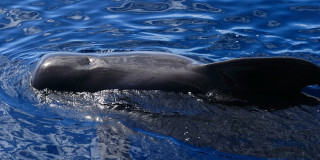 But the memories of the crystal clear sea, beautiful nature, and incredible aquatic life of Tenerife will last forever.